The size of your area rug can really change the room’s look and feel. The right-sized rug will create balance in any space and make it look more inviting. 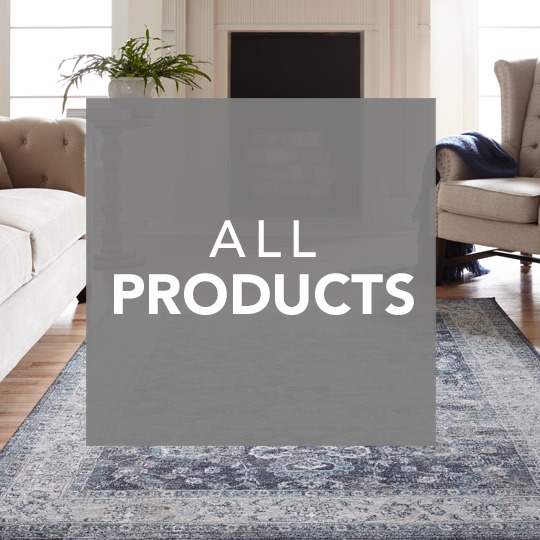 Are you about to buy a new area rug but not sure what’s the best size to fit your space? Our room-by-room guide is here to help! If you wish to add an area rug to your living room, you should definitely consider the room’s shape as well as your existing furniture. 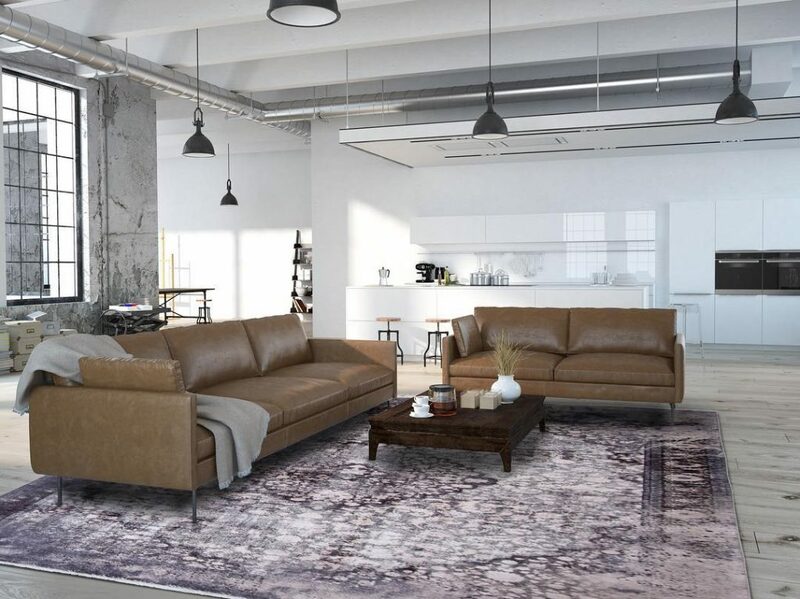 If you do not have any furniture against a wall and your room is relatively large, you can go with a big area rug that extends at least 6 inches on each side, and place all the furniture on top of the rug. This layout will unify your furniture and will create a defined area. The standard sizes are 9’ X 12’, 11’ X 14’. 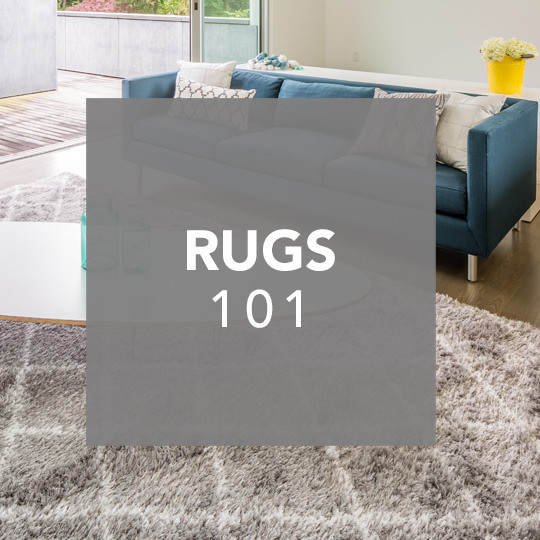 If one edge of the furniture grouping is against a wall, you can definitely place only the front legs of the furniture on top of the rug. Be sure to stay consistent – only the front legs of the pieces should be on the rug. The standard sizes are 6’ X 9’, 8’ X 10’. If your living room is small or narrow, the perfect layout to make it look bigger is to place only the coffee table on top of the rug. The area rug you choose should fill the space that is created by the seating area. The standard sizes are 4’ X 6’, 5’ X 7’. 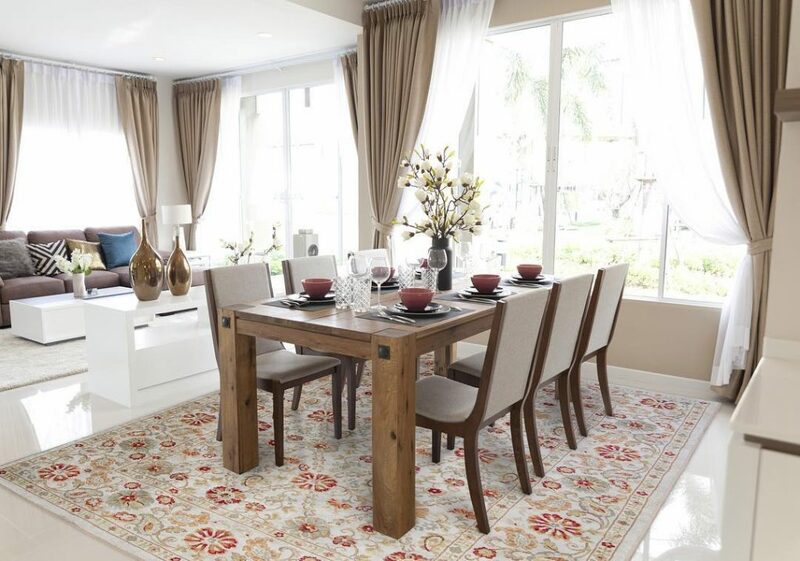 Whether your dining table is rectangular or round, the best layout is to let the table and chairs rest on the rug. The rug should extend 24-36 inches from all sides of the table, to allow the chairs to sit on a flat surface even when they’re pushed back. The standard sizes are 8’ X 10’, 9’ X 12’. If you have a U-shaped kitchen, a small rug in front of the sink works best to center the space. It can be either half-round or rectangular. The standard size is 2’ X 3’. And for a narrow galley kitchen or a center island, a runner can definitely extend the space of the kitchen. The standard sizes are 2’6” X 8’, 3’ X 5’. Your bed is the focal point of the room, therefore it should be the base for any rug placement. You can frame the bed by extending the area rug beyond the bed and its accompanying furniture (nightstands, benches and more) – not including dressers or other pieces against other walls. Be sure to leave 18-24 inches of space around the bed. Another option to frame the bed is to not extend the rug up to the nightstand, while still allowing the same 18-24 inches space on the sides. The standard sizes are 8” X 10’ for queen beds and 9’ X 12’ for king beds. A great alternative is to place a runner on each side of the bed. This option works for any room of any size and will allow a cozy foundation for your feet when they take their first steps in the morning. Ideally, the runner should be aligned with the bed and not extend beyond it, and it should be wider than the nightstands. The standard sizes are 2’ 6” X 8’, 3’ X 5’. The most common choice is to place a runner, either on one side of the hallway with furniture pushed against the opposite wall, or to place it in the center. Either way, leave the furniture legs off the rug. The standard sizes are 2’ 6” X 8, 3’ X 12’.